Elizabeth Musgrave is a Lecturer in Architectural Design and Architectural Technology in the School of Architecture and an Architect Registered in Queensland. Before becoming an academic Elizabeth worked in a number of Queensland practices including Robert Riddell Architect, Elizabeth Watson-Brown Architect and Architects Lambert & Smith where she contributed to a number of award winning projects. Her practice experience includes domestic and medium scale commercial and institutional projects. Research interests include architectural design, studio curriculum development and mid-century modernism. Elizabeth research interests are focused on mid-century modern architecture in SE Queensland. In 2015 she co-authored a chapter of Hot Modernism: Queensland Architecture 1945-1975 with Andrew Wilson and Deborah van de Plaat. Her Master of Philosophy thesis titled Mapping the Edge: An analysis of regionalist responses in the Queensland House analysed architect-designed work belonging to the 20th century. Building on from this work, Elizabeth is currently undertaking a PhD through the University of Melbourne, investigating the work of noted South-East Queensland architect, John Dalton. Research contributing to the scholarship of teaching is focused on studio teaching and learning practices. 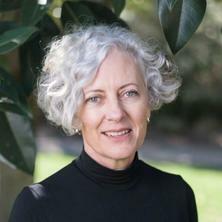 She has contributed to research projects focusing on re-invigorating design studio pedagogy and enhancing student learning outcomes and was a chief investigator on the ALTC (OLT) funded project Curriculum Development in Studio Teaching. Together with Emeritus Professor Brit Andresen and Doug Neale she coordinated the successful Travel Abroad studios to Japan and Finland between 2010 and 2014. In 2012 the Japan Travel Abroad Studio was recognised with the Deputy Vice-Chancellor Academic’s Award for Internationalisation. Elizabeth holds a number of professional service roles and is currently chair of the Architects Accreditation Council of Australia (AACA) National Advisory Committee and the Australia New Zealand Architecture Program Accreditation Procedure (ANZ APAP) Steering Committee. Establishing the significance of the work of this significant architect, painter and polemicist. Research focuses on developing a greater understanding of the modes of teaching particular to the design studio and on project types, in particular projects that facilitate development skills and processes. Moulis, Antony and Musgrave, Elizabeth (2018). Exhibiting Scarpa: transcriptions of the narrative detail in Queensland. In Silvia Micheli and John Macarthur (Ed. ), Italy/Australia: postmodern architecture in translation (pp. 76-89) Melbourne, VIC, Australia: Uro Publications. Musgrave, Elizabeth (2018). Knowledge transfer in the nineteenth century : the short history of béton aggloméré in Queensland. In: Joanna Merwood-Salisbury, Michael Dudding and Christopher McDonald, Proceedings of the 35th Annual Conference of the Society of Architectural Historians of Australia and New Zealand. SAHANZ 2018: Historiographies of technology and architecture, Wellington, New Zealand, (391-404). 4-7 July, 2018. Musgrave, Elizabeth (2018). Semantics and the Queensland idiom: identity in modern and post-modern (sub)tropical Queensland architecture. In: Nawari O. Nawari and Nancy Clark, Tropical Storms as a setting for adaptive development and architecture. International Network of Tropical Architecture 2017 : Tropical Storms as a setting for adaptive development and architecture, Gainesville, FL, United States, (). 1-3 December 2017. Musgrave, Elizabeth (2012). Exhibition, 'pin-up' review. In Hedda Haugen Asklund, Michael J. Ostward and Anthonly Williams (Ed. ), Assessing creativity: supporting learning in architecture and design (pp. 201-203) Sydney, Australia: Office for Learning and Teaching (OLT). Musgrave, Elizabeth (2012). Heathwood, Peter. In Philip Goad and Julie Willis (Ed. ), The encyclopedia of Australian architecture (pp. 321-322) Melbourne, Australia: Cambridge University Press. Musgrave, Elizabeth (2012). Watson-Brown, Elizabeth. In Philip Goad and Julie Willis (Ed. ), The encyclopedia of Australian architecture (pp. 755-755) Melbourne, Australia: Cambridge University Press. Musgrave, Elizabeth A. and Price, John (2008). The worst house in Brisbane. In Neil Durbach, Vince Frost, Wendy Lewin, Kerstin Thompson and Gary Warner (Ed. ), Abundant: Australian Pavilion 11th International Architectural Exhibition La Biennale de Venezia 2008 (pp. 135-135) Barton, ACT: Australian Institute of Architects. Living the Modern "At The Edge"
Musgrave, Elizabeth A. (2007). Living the Modern "At The Edge". In V Perren and Kristien Ring (Ed. ), Living the modern: Australian architecture (pp. 27-30) Ostfildern: Hatje Cantz Verlag. Musgrave, Elizabeth A. (2005). The Jacobi house: Format expression and spatial moment. In Andrew Wilson (Ed. ), Hayes and Scott: Post-war Houses 1st ed. (pp. 44-53) St Lucia: The University of Queensland Press. Moulis, A. and Musgrave, E. (1997). Engaging the Material Urban Setting. In Emergent Paradigms in Design Education: Sustainability, Collaboration & Community (pp. 39-40) Sydney: Faculty of the Built Environment UNSW. Musgrave, Elizabeth, Dongxue, Lei (translator) and Lu, Andong (Editor) (2017) Climate + comfort: fifty years of the split skillion roof in Queensland. Architectural Review (China), 586 001-007. "G.W. Pestorius: Elbin Drive and beyond"
Musgrave, Elizabeth (2017) "G.W. Pestorius: Elbin Drive and beyond". Architecture Australia, 106 3: 77-78. Musgrave, Elizabeth (2016) Clare Design Works 1980-2015. Architecture Australia, 105 3: 51-52. Musgrave, Elizabeth (2015) Sun and Shadow House by John Dalton. Houses, 102: 130-136. Price, John and Musgrave, Elizabeth (2010) Space craft. Architectural Review Australia, 117: 78-87. Musgrave, Elizabeth (2007) Sunlight, shade and shadow: Elizabeth Musgrave remembers John Dalton. Architecture Australia, 96 5: 51. Musgrave, Elizabeth (2005) Cool: The 60s Brisbane house. Architecture Australia, 93 6: 41-42. Musgrave, Elizabeth (2003) From cellar to garret: extending the range of the bungalow. AASA Refereed Design Scheme, 18-23. Musgrave, Elizabeth and Price, John (2003) Northern exposure. Monument: Architecture and Design, 58 2003/2004: 80-84. Musgrave, Elizabeth and Horner, Max (2003) The detail of Architecture. AASA Refereed Design Scheme, 24-27. Musgrave, Elizabeth (2002) Goodwill overture. Architecture Australia, 91 5: 66-69. Musgrave, Elizabeth and Horner, Max (2000) The detail in architecture: Comparative analysis of built detail. Architectural Theory Review, 5 1: 1-15. Musgrave, E. A. (1999) Rivercity flows on. Monument, 33: 76-83. Musgrave, Elizabeth and Price, John, Goomburra Farmhouse, Goomburra, Warwick, QLD, Australia, . Elizabeth Musgrave (2017). Finding form: tools for mediating sunlight and shadow in the work of mid-century modern architects. In: EAHN The Tools of the Architect, Delft, The Netherlands, (). 22-24 November 2017. Musgrave, Elizabeth (2017). “The Pleasures Functions of Architecture”: Postmodern Architecture and the “Culture of flimsiness” in Queensland. In: Gevork Hartoonian and John Ting, Proceedings of the 34th Annual Conference of the Society of Architectural Historians of Australia and New Zealand. SAHANZ 2017 Quotation: What does history have in store for architecture today?, Canberra, Australia, (503-514). 5-8 July 2017. Musgrave, Elizabeth (2016). A golden anniversary: 50 years of the split skillion roof in Queensland. In: AnnMarie Brennan and Philip Goad, Proceedings of the Society of Architectural Historians, Australia and New Zealand: 33, Gold. Society of Architectural Historians, Australia and New Zealand (SAHANZ) Annual Conference, Melbourne, Australia, (528-537). 6-9 July 2016. Musgrave, Elizabeth (2015). Structuring space for student life: John Dalton’s 1970s campus commissions. In: Paul Hogben and Judith O’Callaghan, Proceedings of the Society of Architectural Historians, Australia and New Zealand: 32, Architecture, Institutions and Change. Society of Architectural Historians, Australia and New Zealand (SAHANZ) Annual Conference, Sydney, NSW, Australia, (446-456). 7-10 July 2015. Musgrave, Elizabeth (2014). Formal abstraction: from art to architecture in the work of John Dalton. In: Christoph Schnoor, Translation: The 31st Society of Architectural Historians, Australia and New Zealand (SAHANZ) Annual Conference. Society of Architectural Historians, Australia and New Zealand (SAHANZ) Annual Conference, Auckland, New Zealand, (555-566). 2-5 July 2014. Musgrave, Elizabeth (2013). What's 'out' ... what's 'in'. Revolution versus evolution: John Dalton architect as pamphleteer. In: Alexandra Brown and Andrew Leach, Open: The 30th Society of Architectural Historians, Australia and New Zealand (SAHANZ) Annual Conference. Society of Architectural Historians, Australia and New Zealand (SAHANZ) Annual Conference, Gold Coast, QLD, Australia, (461-474). 2-5 July, 2013. Musgrave, Elizabeth and Price, John (2010). Strategies for interactions: Studio teaching in architectural design. In: Graham Forsyth, Proceedings of ConnectED 2010 International Conference on Design Education. ConnectED 2010: 2nd International Conference on Design Education, Sydney, Australia, (1-5). 28 June - 1 July 2010. Musgrave, Elizabeth and Andresen, Brit (2008). Recovering the country towns archive: Framing local history. In: David Beynon and Ursula de Jong, History in Practice: The 25th Society of Architectural Historians, Australia and New Zealand (SAHANZ) Annual Conference. Society of Architectural Historians, Australia and New Zealand (SAHANZ) Annual Conference, Deakin University, Geelong, Australia, (1-5). 3-6 June 2008. Musgrave, Elizabeth and Andresen, Brit (2008). Sustaining futures: Yandina: A case study for country towns. In: Rosemary Kennedy, From faultlines to sight lines: Subtropical urbanism in 2020. Sub-tropical Cities 2008 Conference, Brisbane, (). 3-6 September 2008. Musgrave, Elizabeth and Hughes, Clair (2007). Parallel studio: Enhancing the studio learning experience for first-year architecture students. In: Carl Reidsema, CONNECTED 2007. CONNECTED 2007, University of New South Wales, Sydney, (1-5). 9-12 July, 2007. Musgrave, Elizabeth and Moulis, Antony (2007). Seeing drawing: Representing architecture on-line. In: Kirsten Orr and Sandra Kaji-O'Grady, Techniques and Technology, Transfer and Transformation: The Proceedings of the 4th International Conference of the Association of Architecture Schools of Australasia. 4th International Conference of the Association of Architecture Schools of Australasia: Techniques and Technology, Transfer and Transformation, Sydney, Australia, (1-5). 27-29 September 2007. Musgrave, Elizabeth (2006). Architecture's responsiveness: Mapping change in the Queensland house. In: Rosie Kennedy, Sub-tropical Cities 2006: International Conference on Achieving Sustainable Urbanism in the Sub-tropics. Subtropical Cities 2006, Centre for Sub-Tropical Design, Fac. of Built Env. & Eng. QUT, (1-8). 27-29 September 2006. Musgrave, Elizabeth (2005). Mapping 'drawing together' space and its experience. In: Dr K. Holt-Damant and Paul Sanders, Drawing Together: Convergent Practices in Architectural Education. Drawing Together: Convergent Practices in Architectural Education, Brisbane, QUT, (1-7). 28-30 September, 2005. Musgrave, Elizabeth (2003). John Railton: Brisbane houses 1962-70. In: M. Gusheh and N. Stead, The Proceedings of the Twentieth Annual Conference of the Society of Architectural Historians, Australia and New Zealand. Progress, Faculty of Architecture, University of Sydney, (215-219). 3-5 October 2003. Musgrave, Elizabeth (2002). The Plywood Exhibition House: An Investigation of Local Idiom. In: Additions to Architectural History: XIX Annual Conference of the Society of Architectural Historians of Australia and New Zealand. Additions to Architectural History, XIXth Conference of the Society of Architectural Historians, Australia and New Zealand, Brisbane, New Farm Powerhouse, (1-12). 4-7 October 2002. Musgrave, Elizabeth A. (2005). Mapping the Edge: An analysis of regional responses in the Queensland house MPhil Thesis, School of Geography, Planning and Architecture, The University of Queensland. Musgrave, Elizabeth, Price, John and Hampson, Alice, Uralla Country Home, Near Armidale, NSW, Australia, . Musgrave, Elizabeth and Price, John, Hilltop House, Paddington, QLD, Australia, . Musgrave, Elizabeth A. (1987). Garden poetry Other, School of Geography, Planning and Architecture, The University of Queensland. Musgrave, Elizabeth A and Price, John, Book Nook, Toowong State School Library, Toowong, Brisbane, Queensland, . Musgrave, Elizabeth A., Hampson, Alice and Price, John, Cabarlah House, Crows Nest Extended Home, Crows Nest, NSW, Australia, . Price, John and Musgrave, Elizabeth, The Hilltop House, Paddington, Queensland, Brisbane, Queensland, .